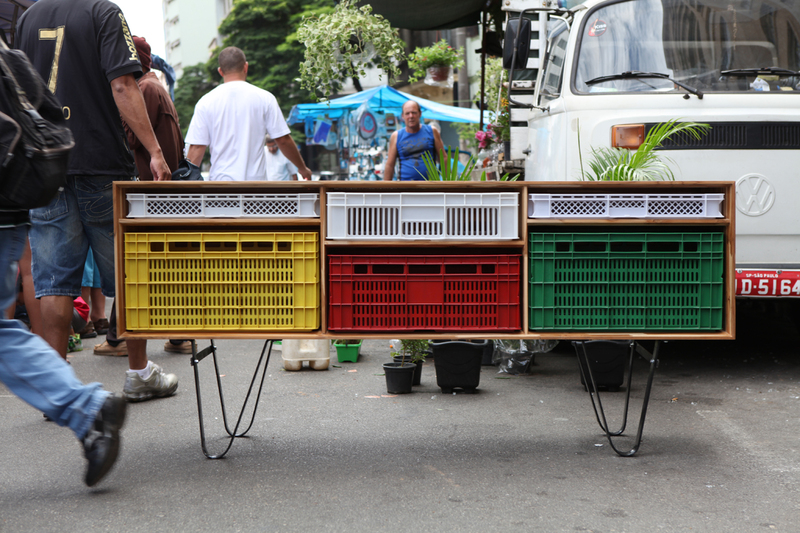 What a clever, clever idea from Brazilian designer Mauricio Arruda: wooden storage units that house those ever-familiar plastic crates. The crates are made from recycled plastic and the idea is that they can be easily moved without the need cardboard boxes and the like. Think how easy it’d be to move house if all your storage was from this collection! I predict we’ll see this concept trickle down to the high street in no time. These are great, I love coloured crates and combined with clever, simple furniture and design they’re perfect.